It’s no secret I’m a lover of all things cozy. One of those things is a nice cup of tea. There is something about a cuppa that is good for the soul. Relaxing. Invigorating. 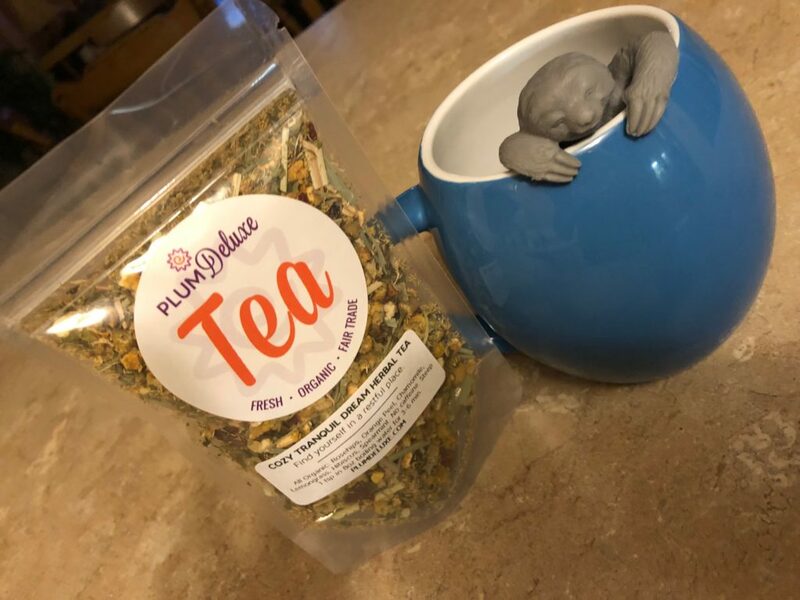 I decided to up my tea game and I joined Plum Deluxe’s Tea of the Month Club. 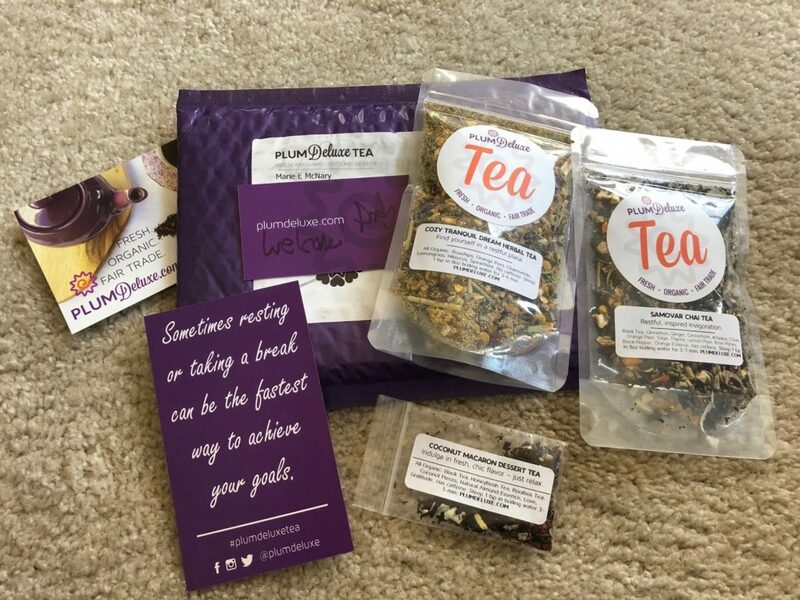 Each month they send you a packet of tea, brewing instructions, and more. And you get access to their online community full of fellow tea lovers. I’d love for you to join me. If you order from the links in this post, I get a small commission (and am super grateful – small things like this help keep A Cozy Experience running!) A picture of my first month’s order is below. It is tranquility in a cup. Such good tea. Be on the lookout for more tea and cozy pairings coming Summer. A Virtual Cozy Tea Party is in the works. More details on that soon!